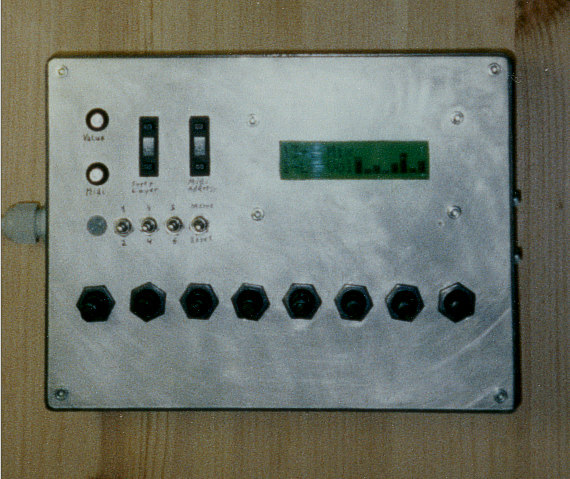 Layout idea for a frontpanel by Janne Eriksson (janneeriksson _at_ telia.com). 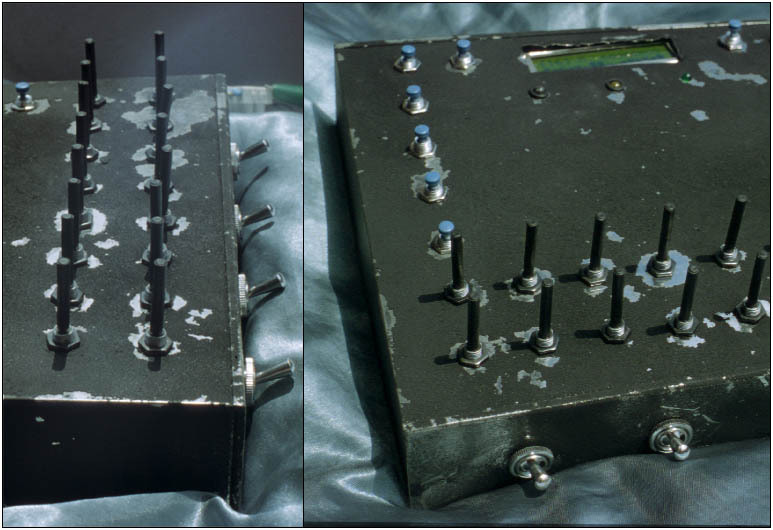 The lower picture shows the final case of his MIDIbox Plus. 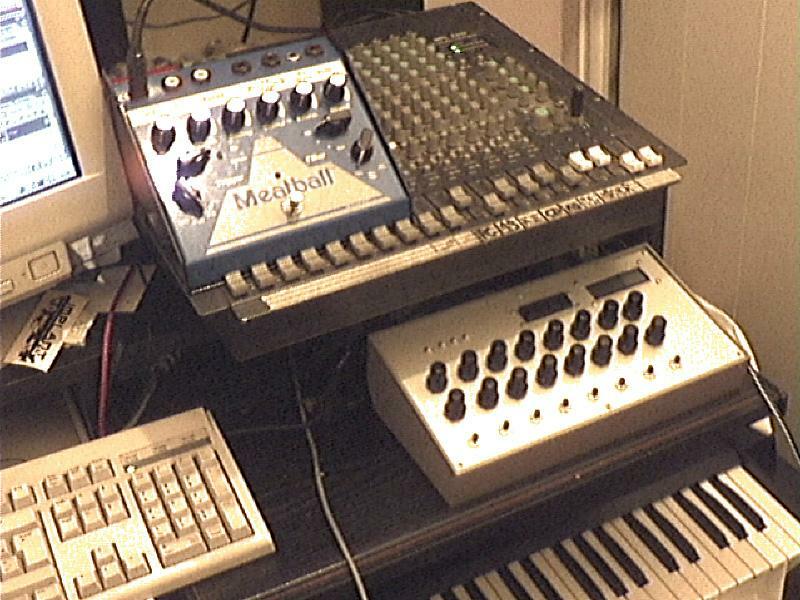 MIDIbox Plus of Martin Clausen. 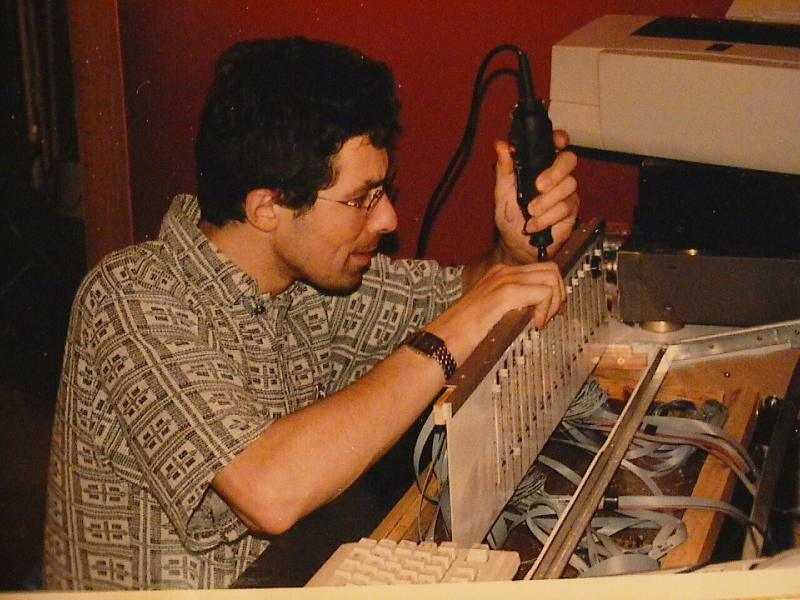 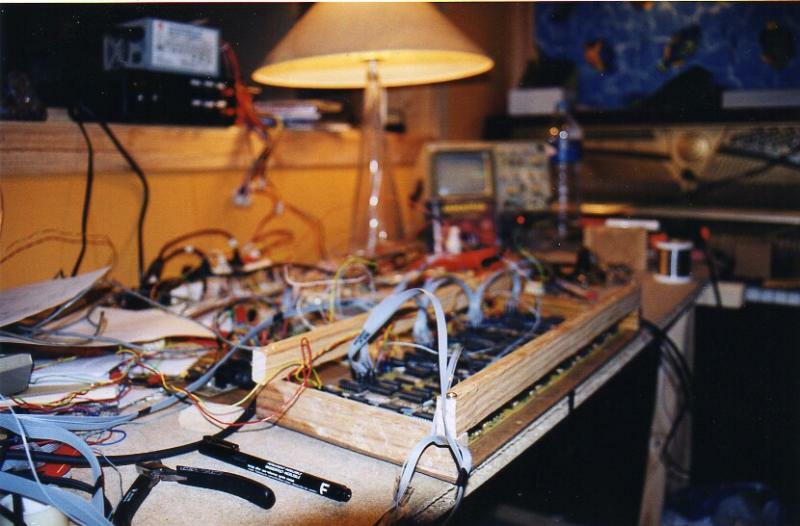 Find more of his electronic projects here! 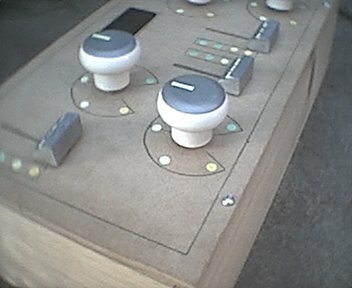 MIDI(shoe)box PlusPlus of Matteo (matteo _at_ alchemystudio.it). MIDIbox Plus of Peter (groovejet _at_ freenet.de) with LFO extension. 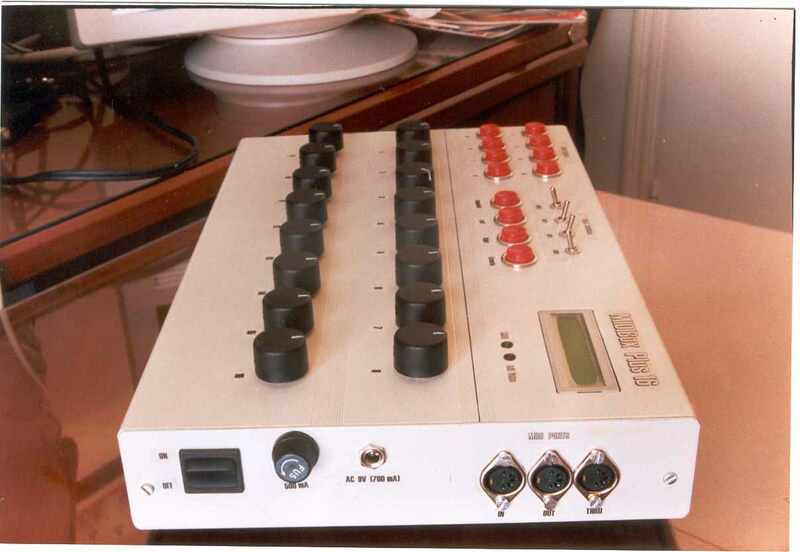 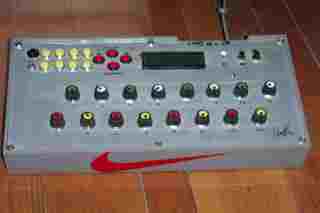 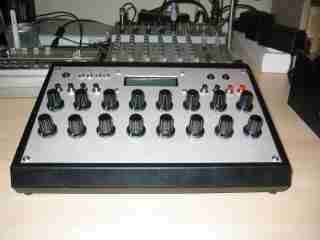 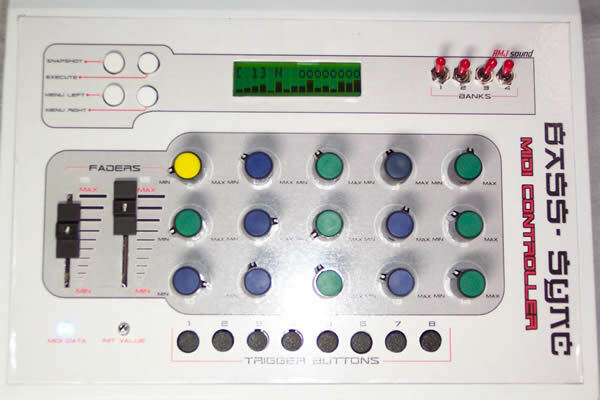 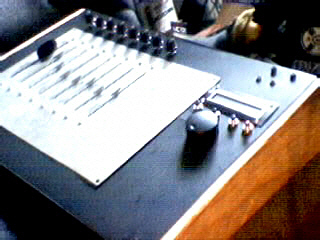 MIDIbox Plus of Fargetto (famix.dj _at_ libero.it). 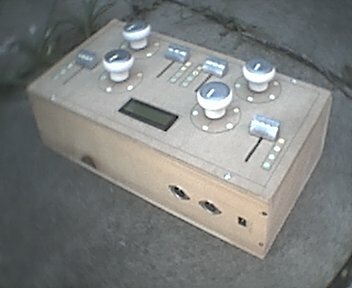 The Designer MIDIbox of Daniel B. Levine (dblevine _at_ lindenmedia.com). 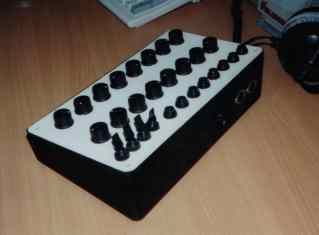 MIDIbox Plus of ZK (zk12 _at_ wp.pl). 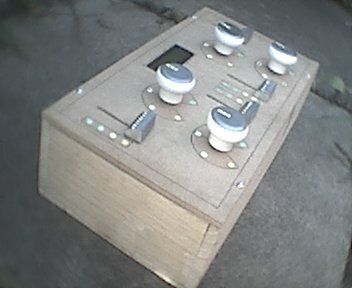 The MIDI-Fleamarket-box of Timo (burned-out _at_ mindless.com). 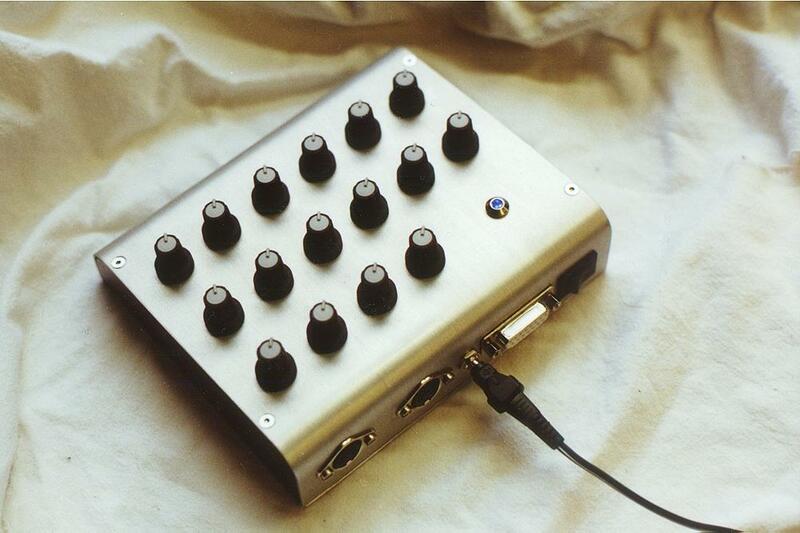 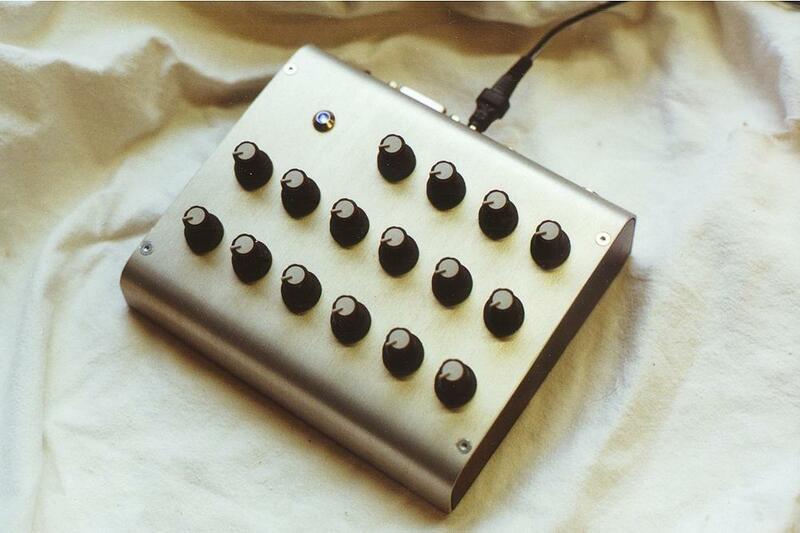 The minimal MIDIbox Plus w/o LCD and buttons of Heico (contact _at_ heicoart.de). 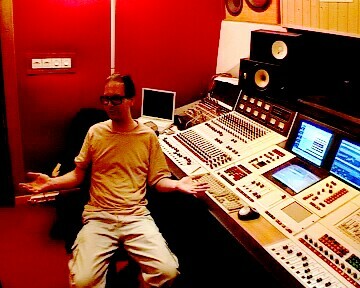 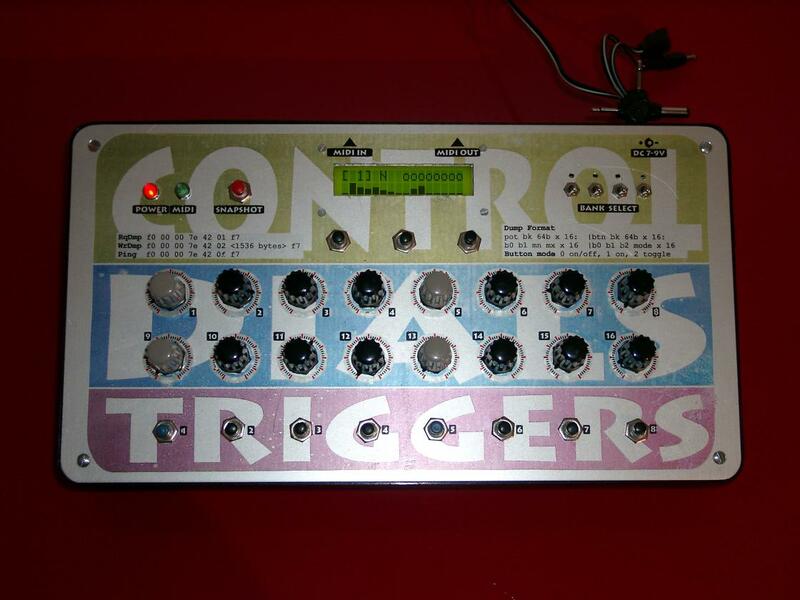 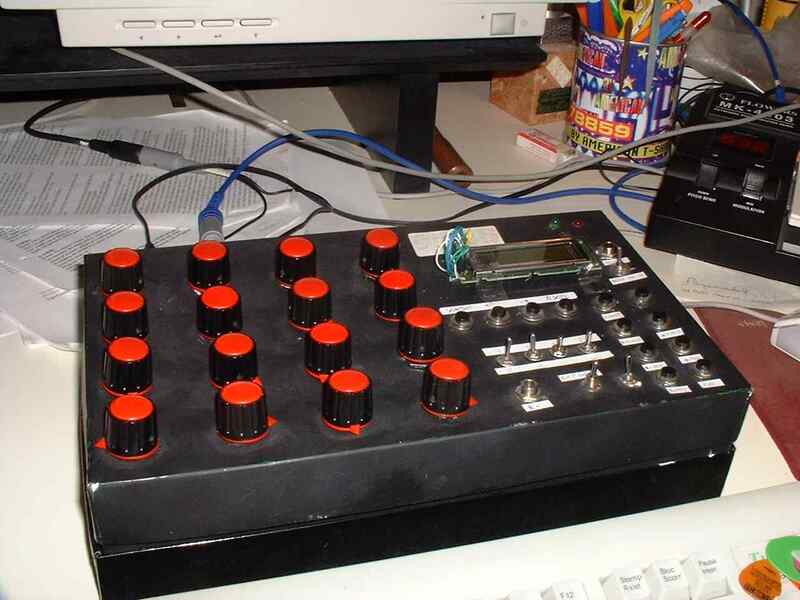 He is the author of the great Hardware Beginners Tutorial for MIDIbox Plus. 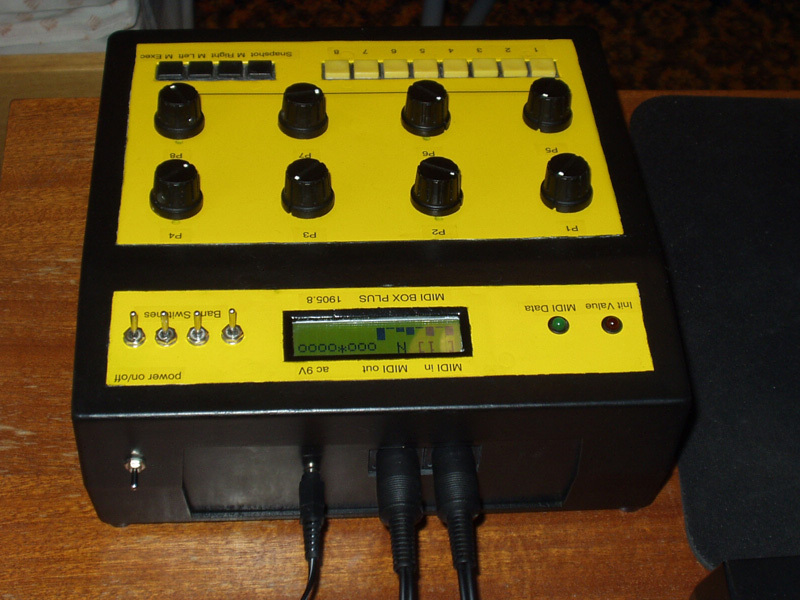 The MIDIbox Plus of Tim (heff_tw _at_ bellsouth.net). 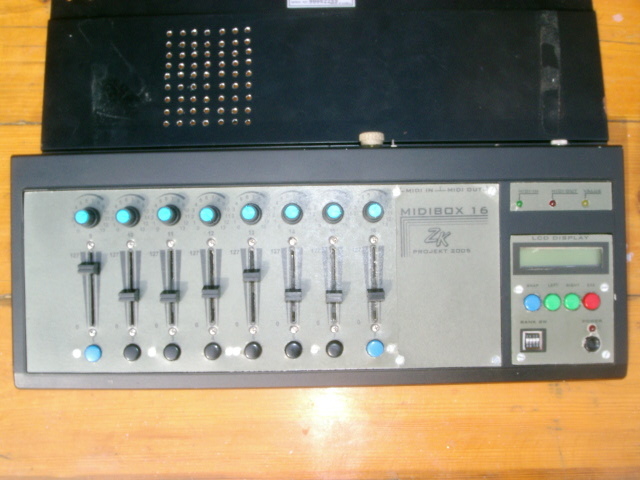 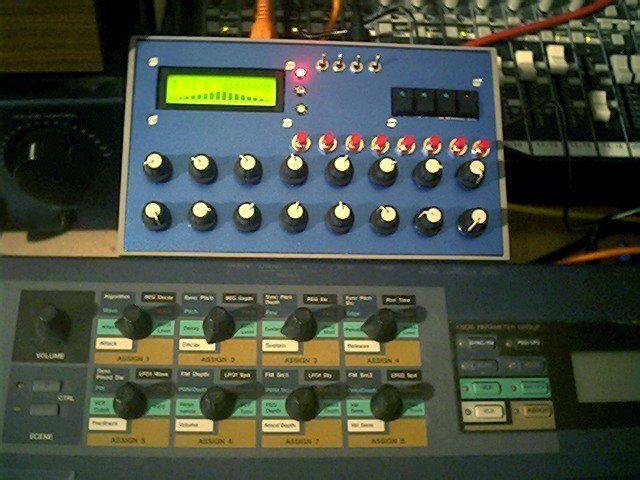 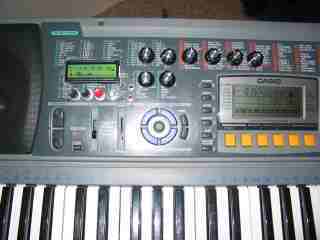 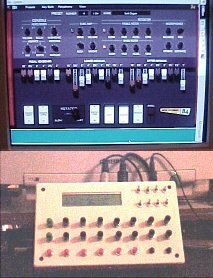 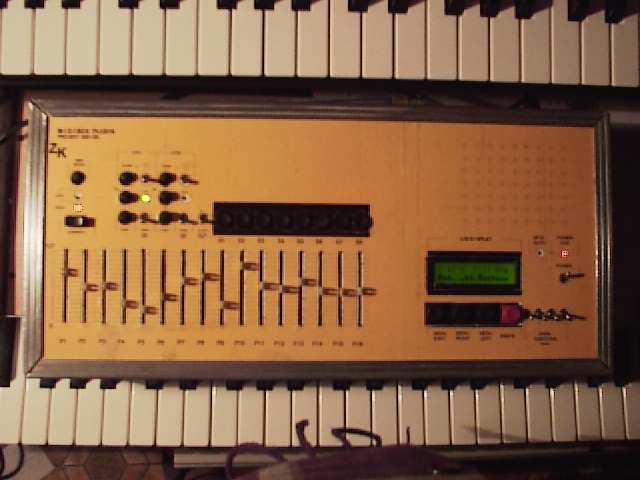 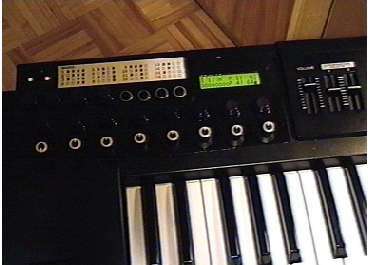 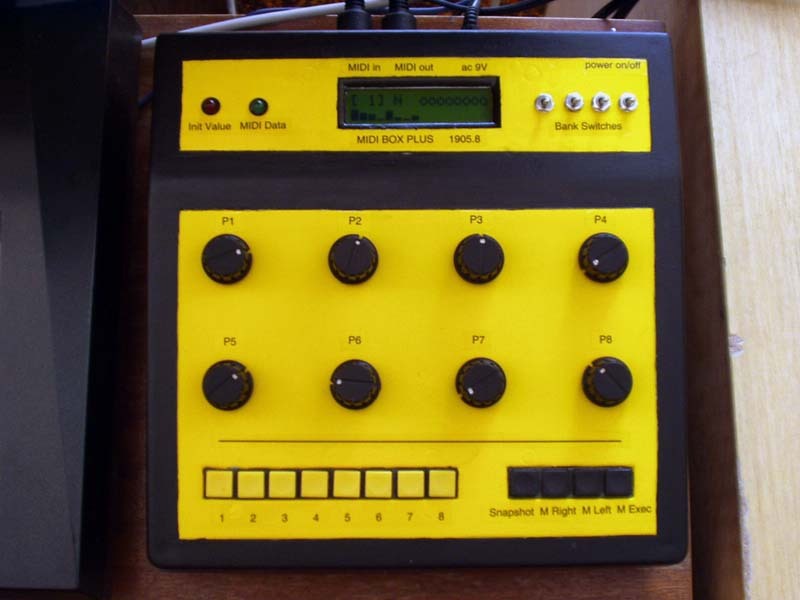 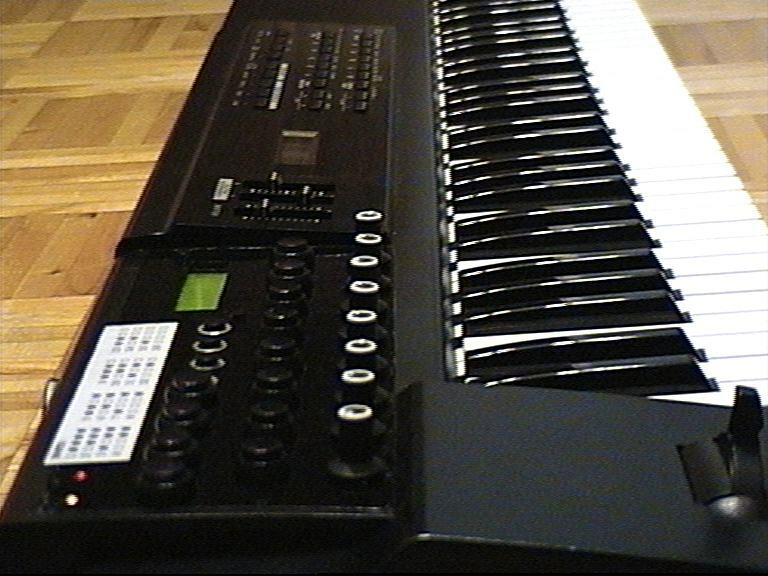 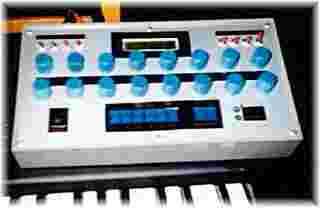 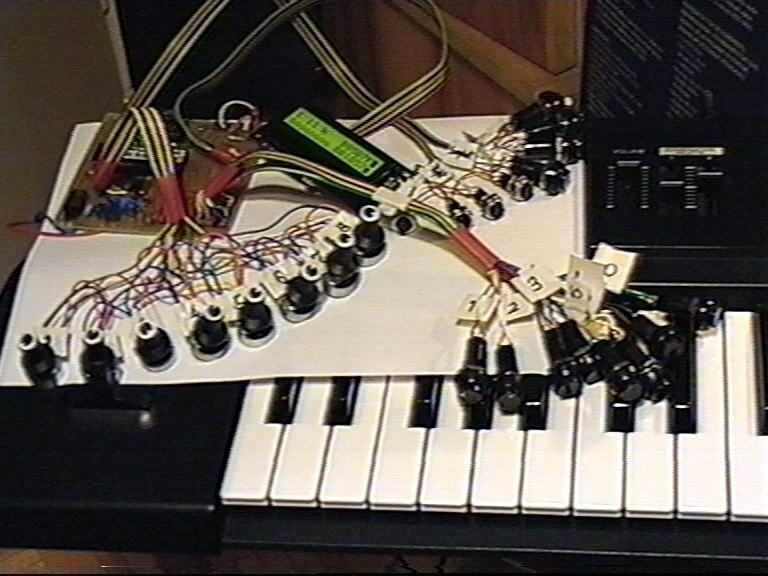 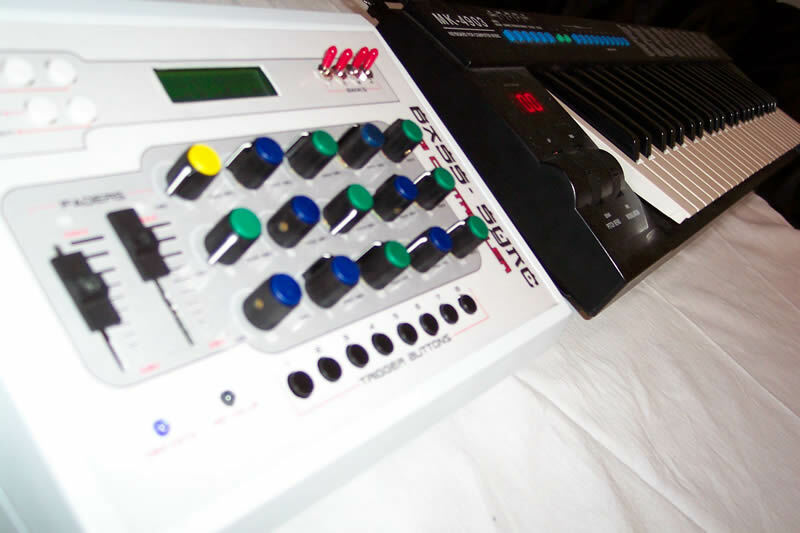 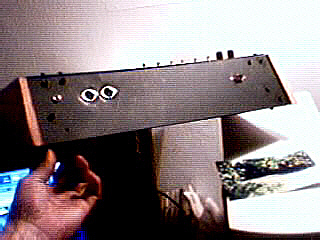 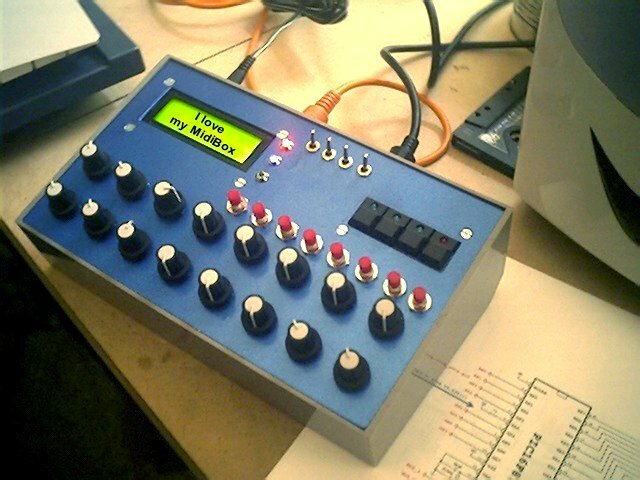 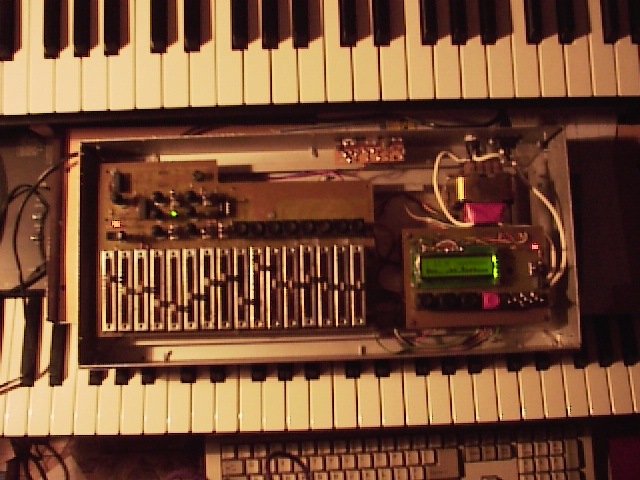 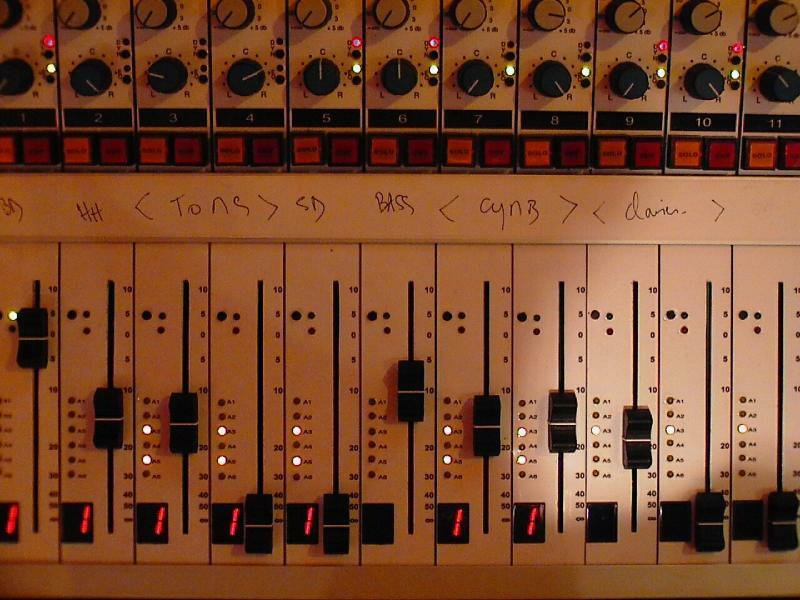 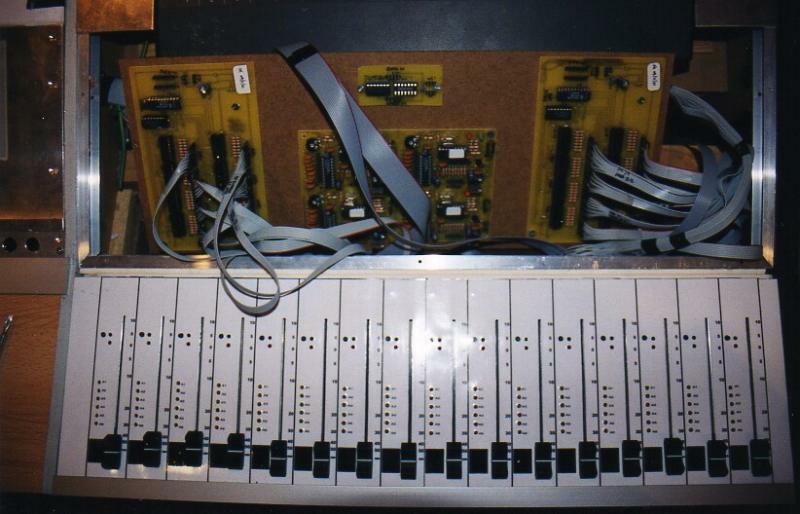 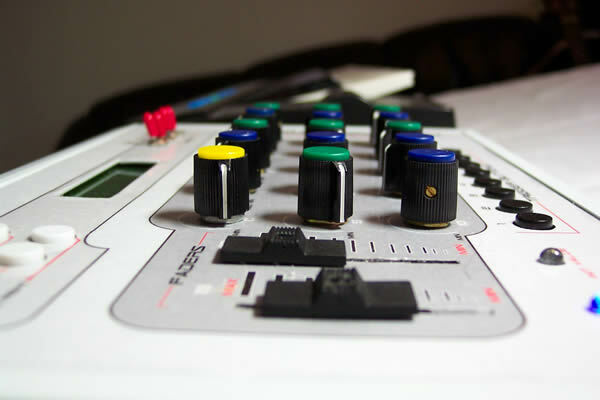 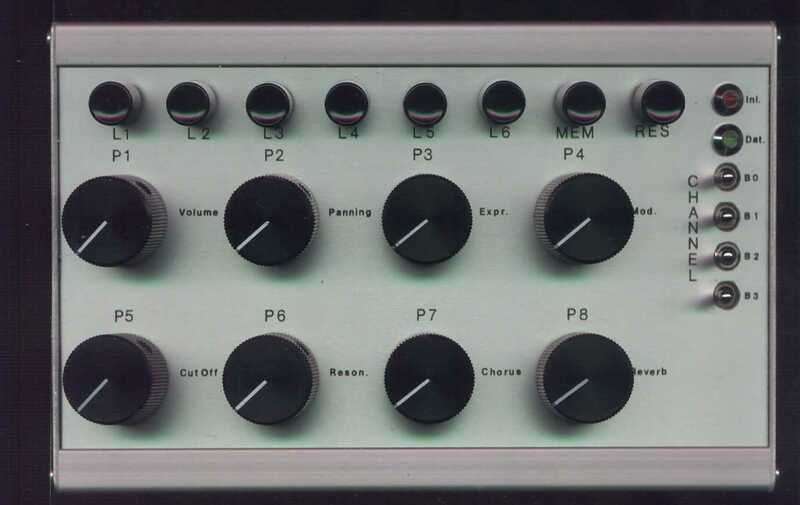 The MIDIbox Plus of Piotr (piotr_808 _at_ interia.pl), built into a Roland XP-10. 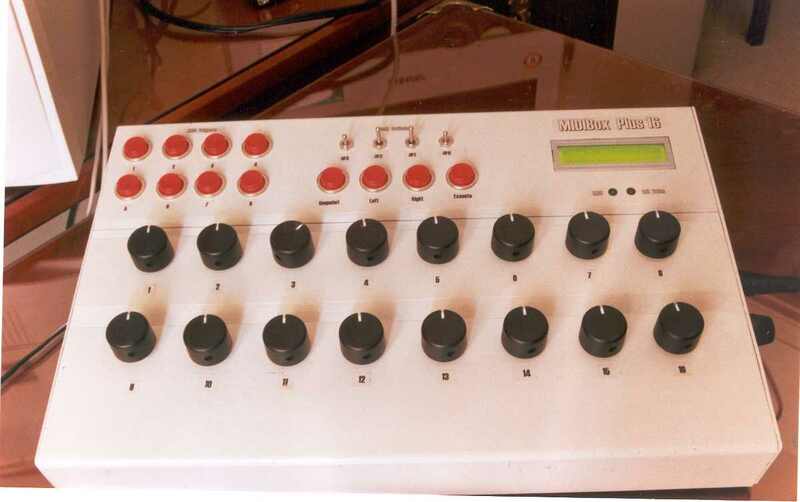 The MIDIbox Plus 16 of Martin (martin _at_ static-lounge.de). Next project will be the MIDIbox64. 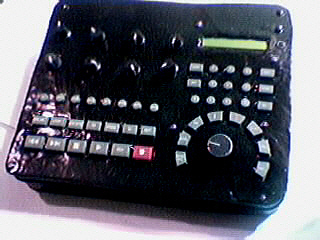 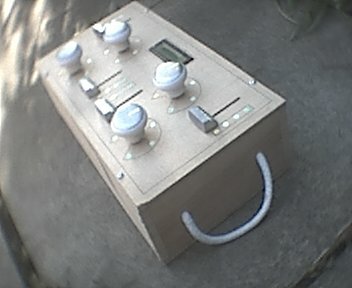 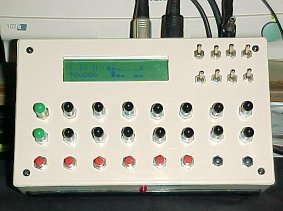 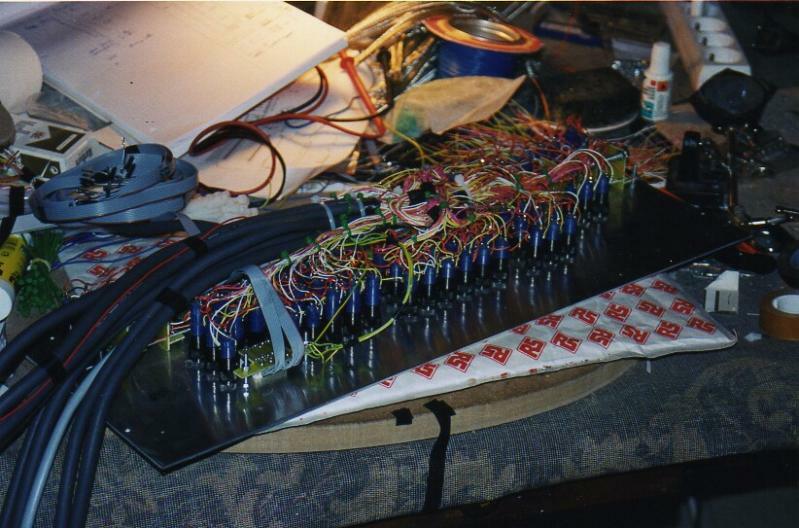 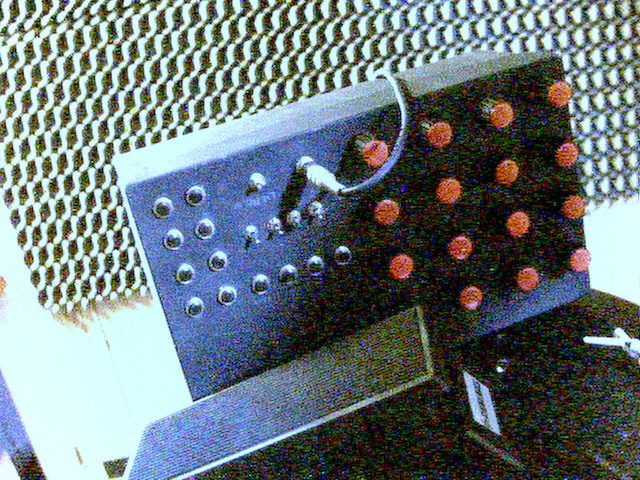 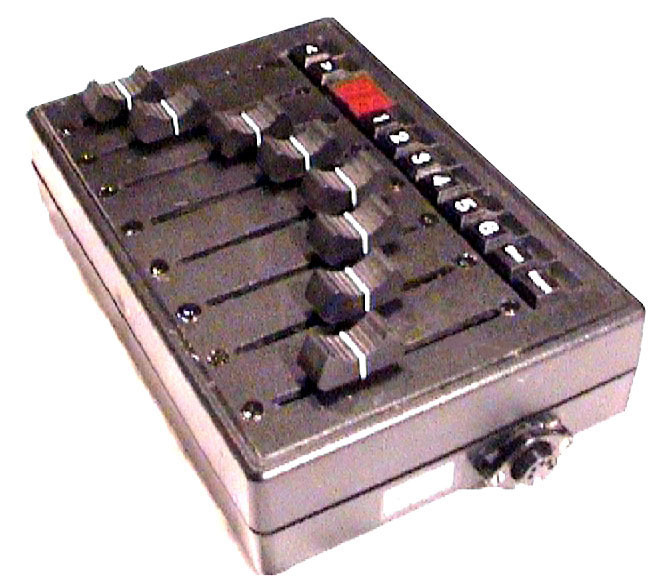 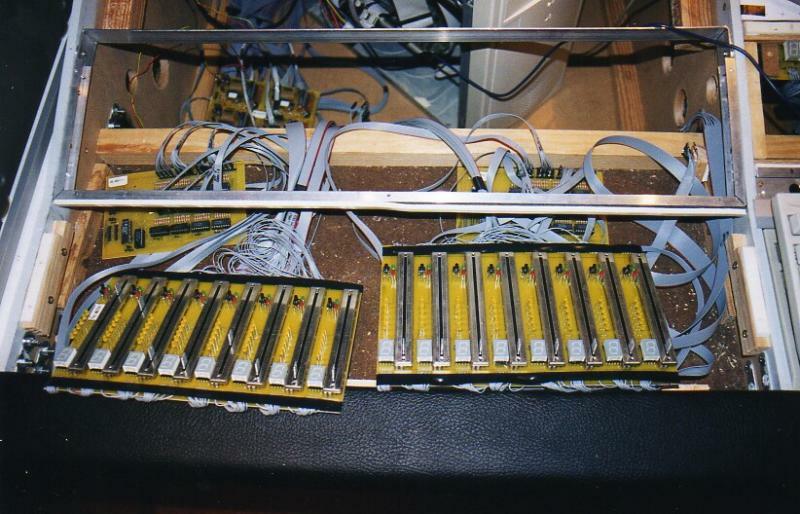 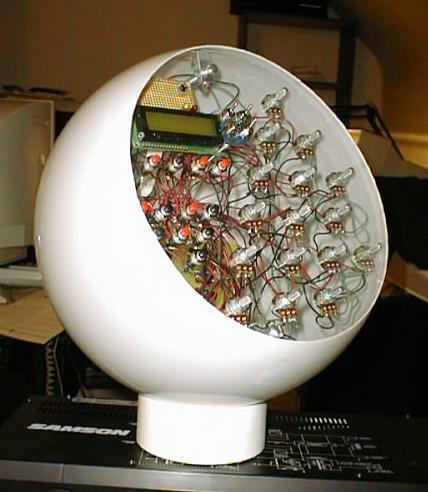 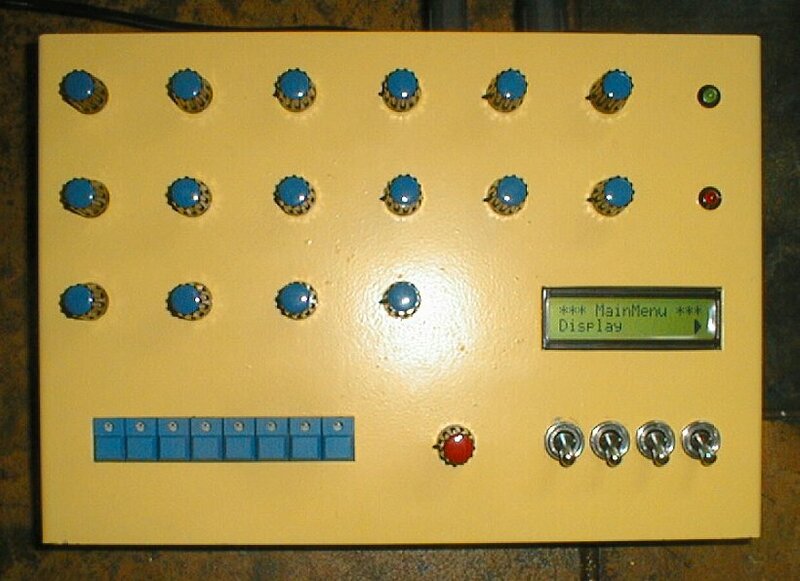 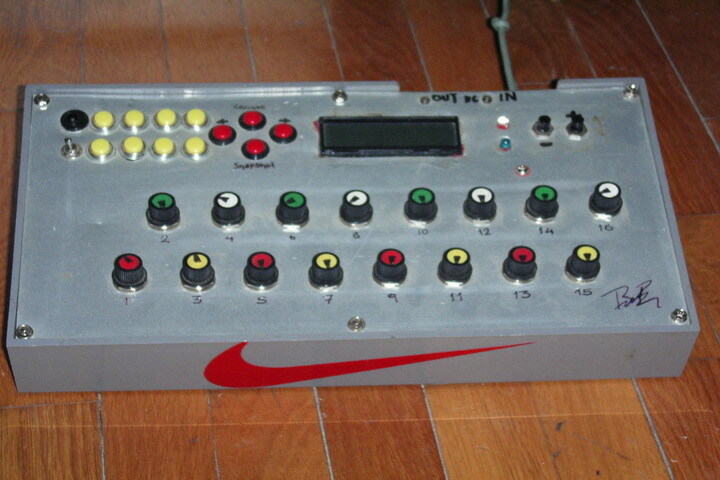 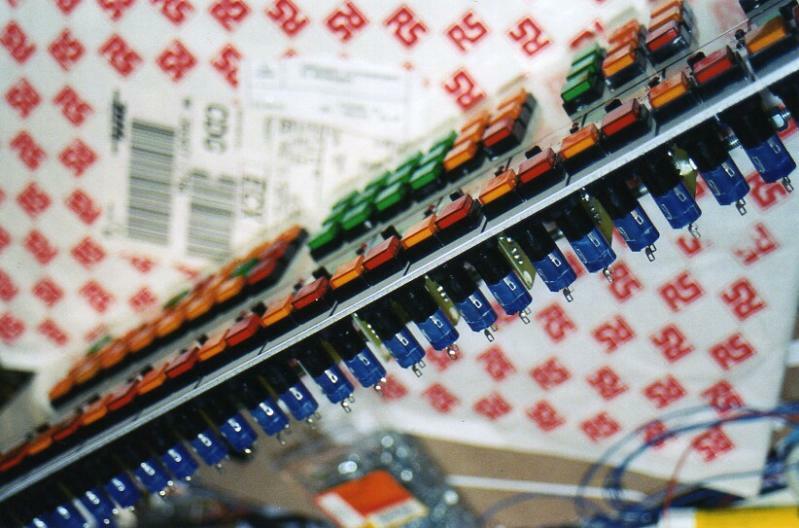 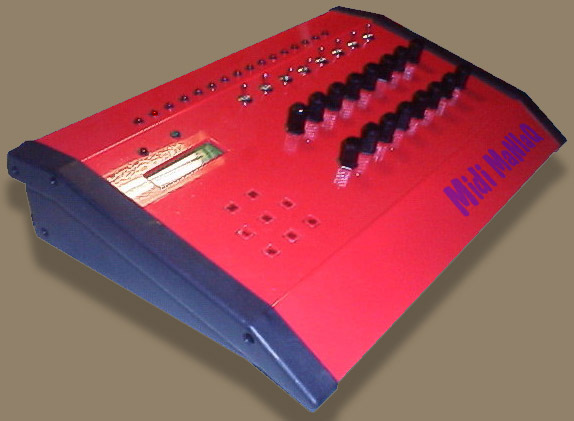 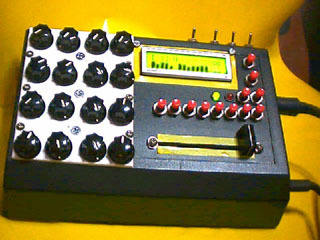 The MIDIbox Plus 16 of André (Flynn2k _at_ t-online.de), which is built into an enclosure of an old battery charger (size 17x17x5 cm). 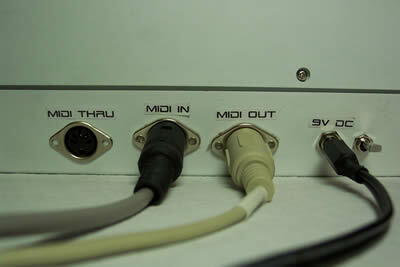 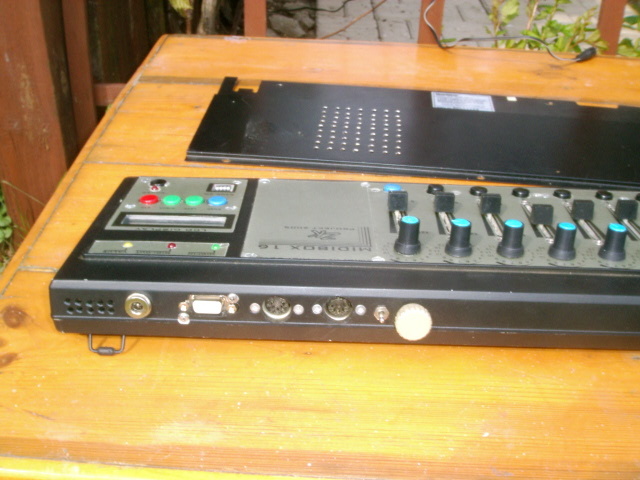 MIDIbox Plus of Bjoern (bjoern _at_ giesler.de). 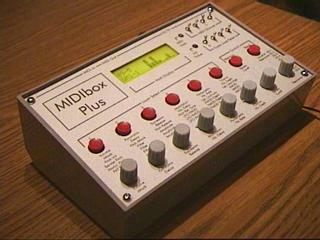 MIDIbox Plus of Miguel (mabello _at_ us.es). 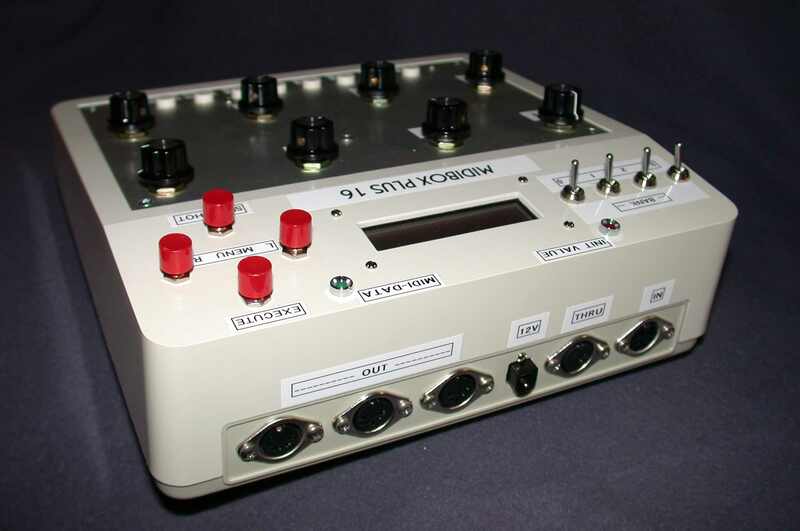 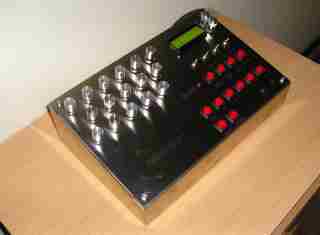 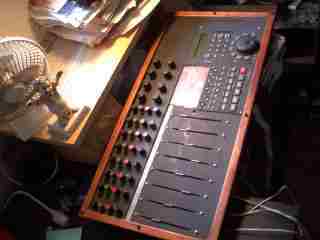 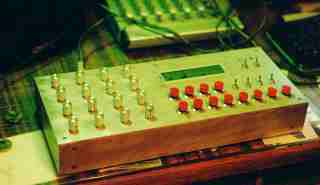 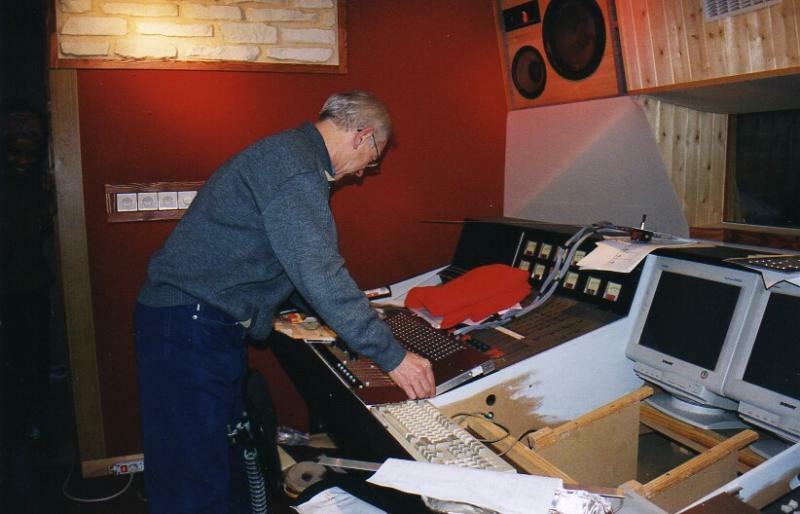 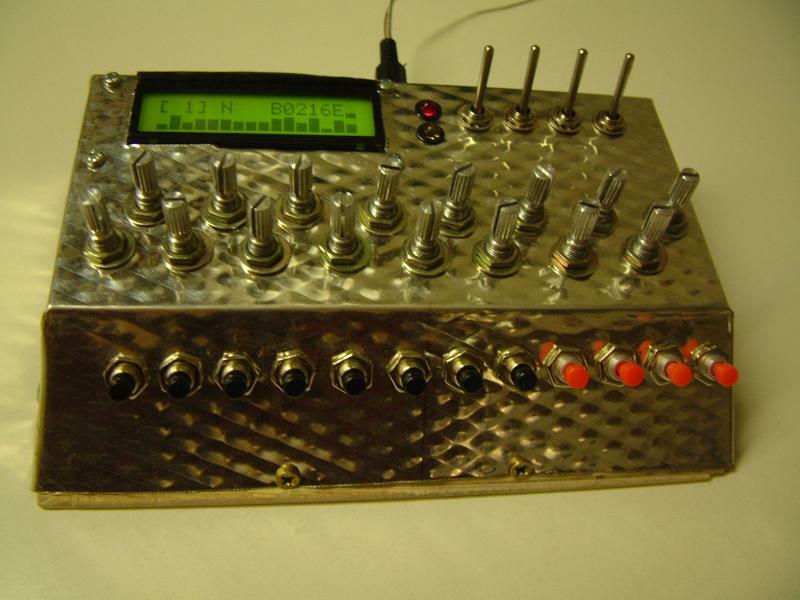 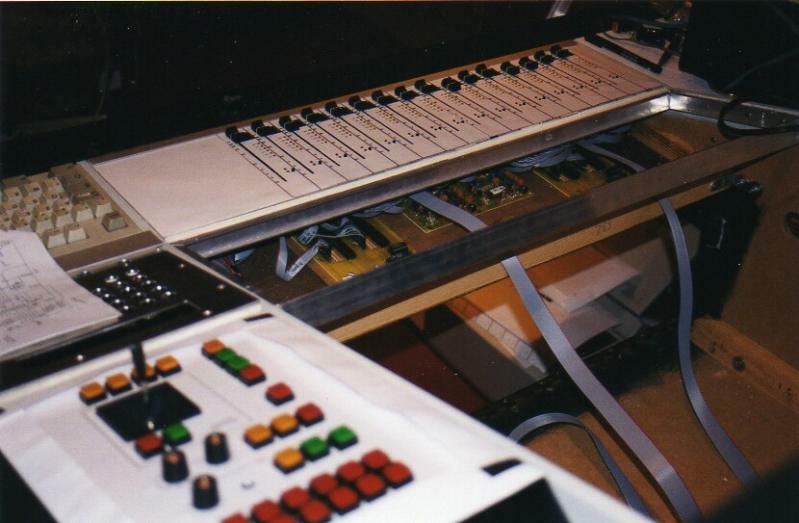 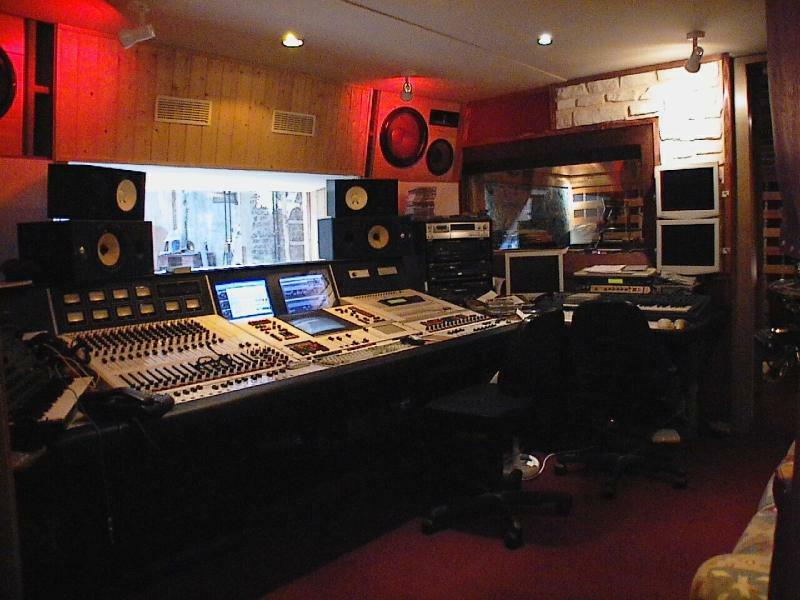 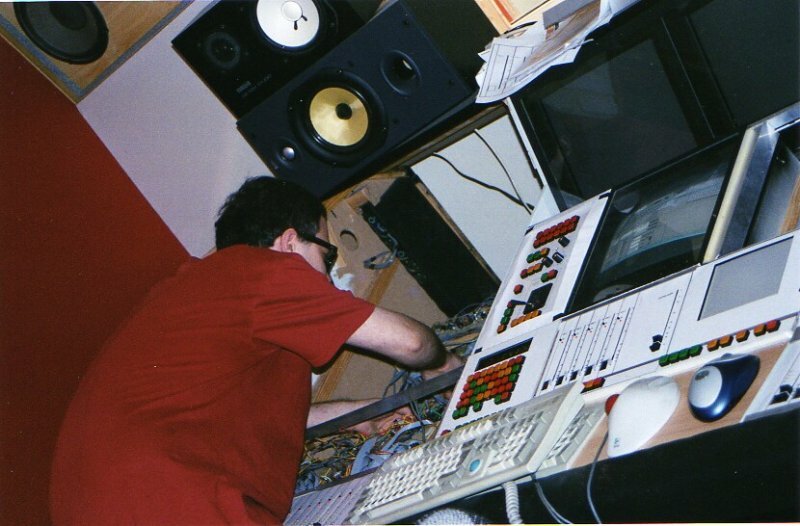 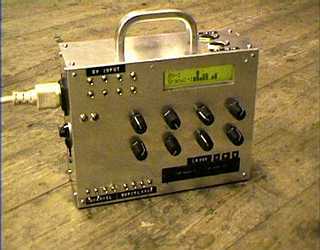 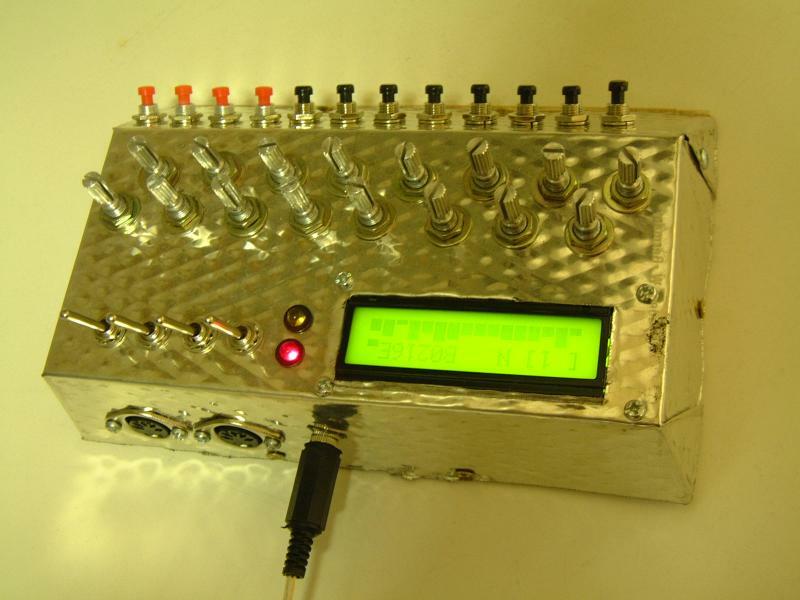 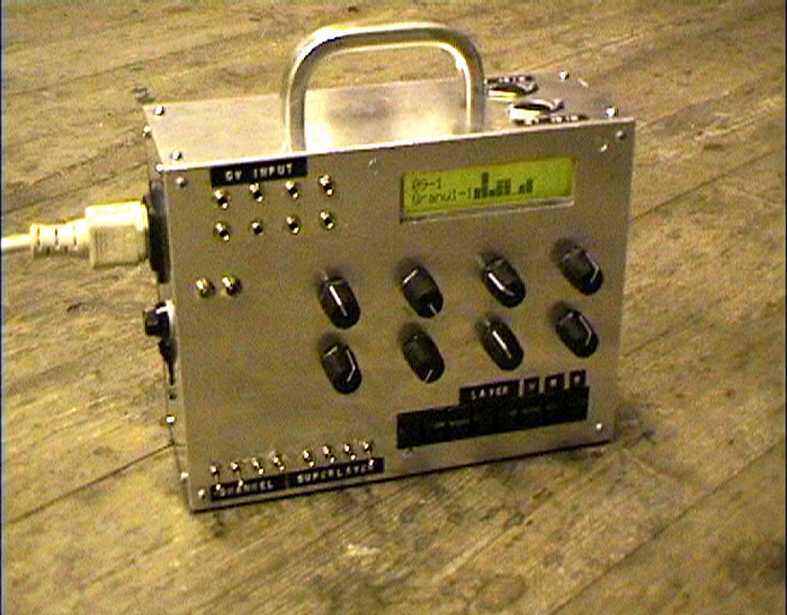 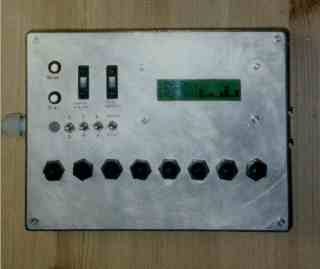 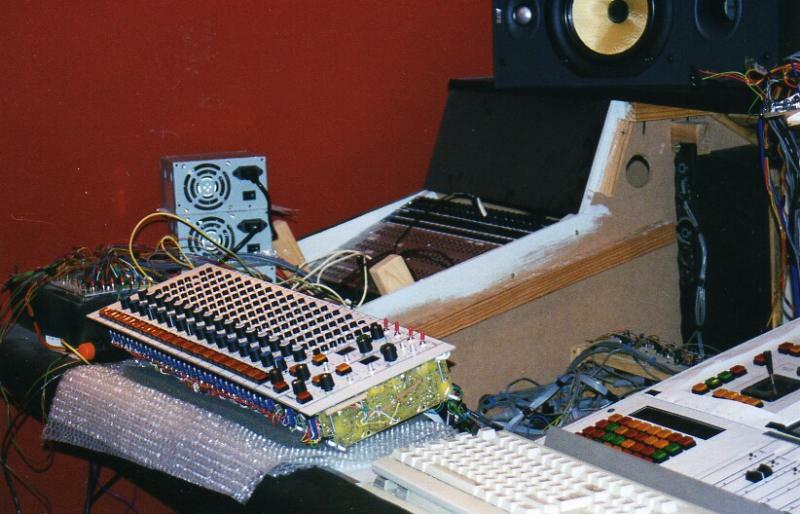 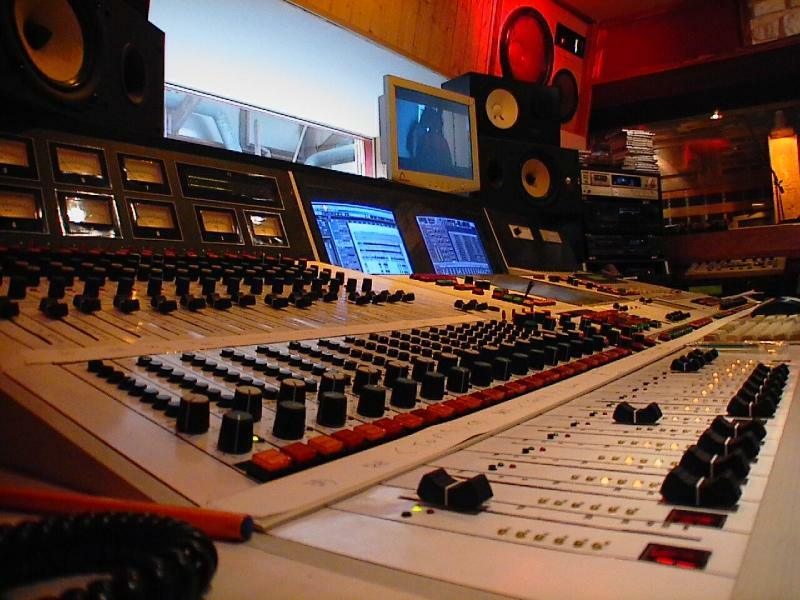 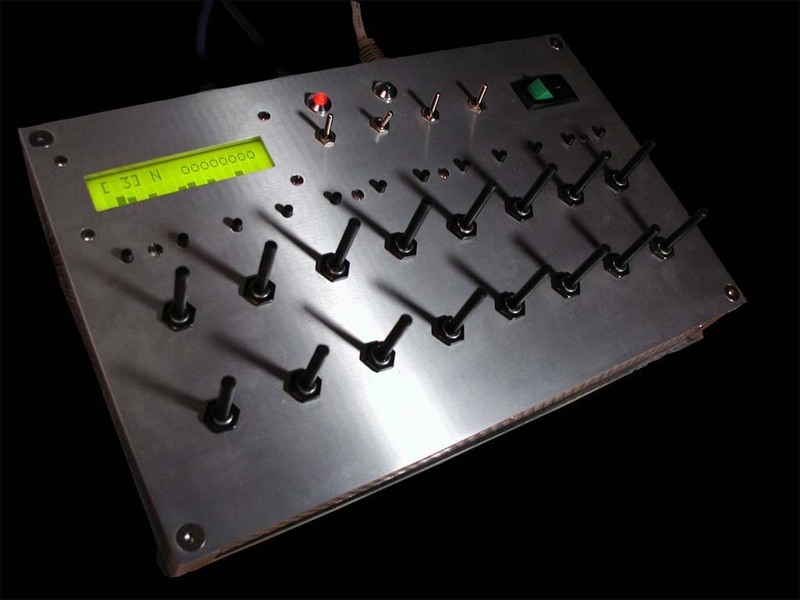 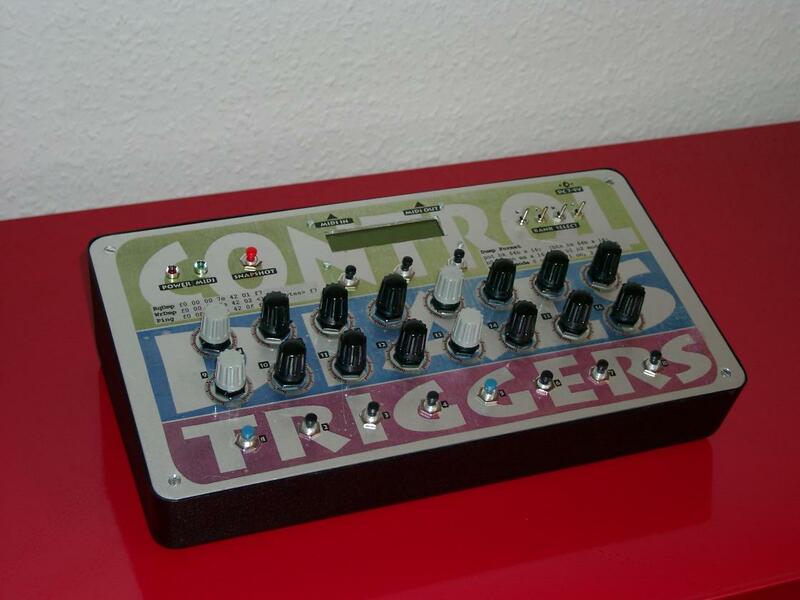 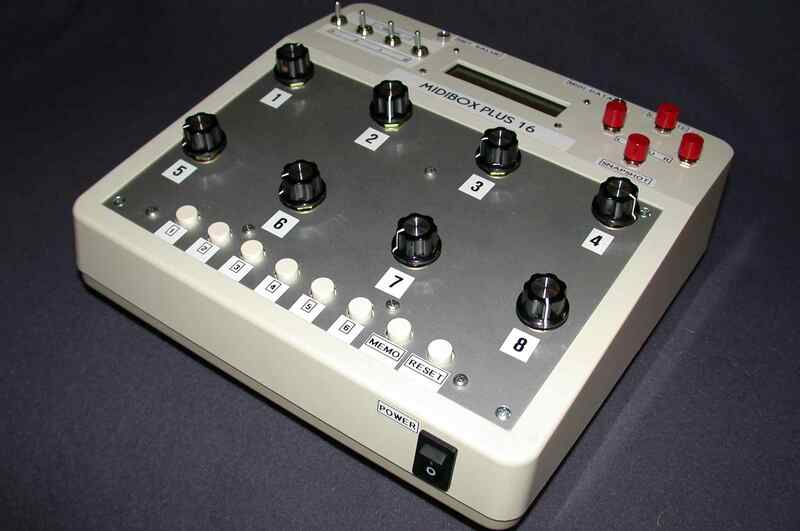 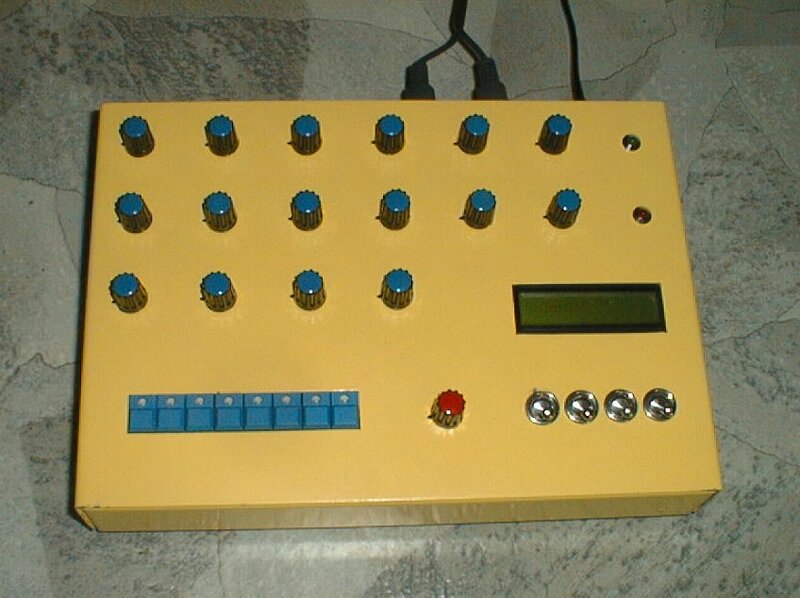 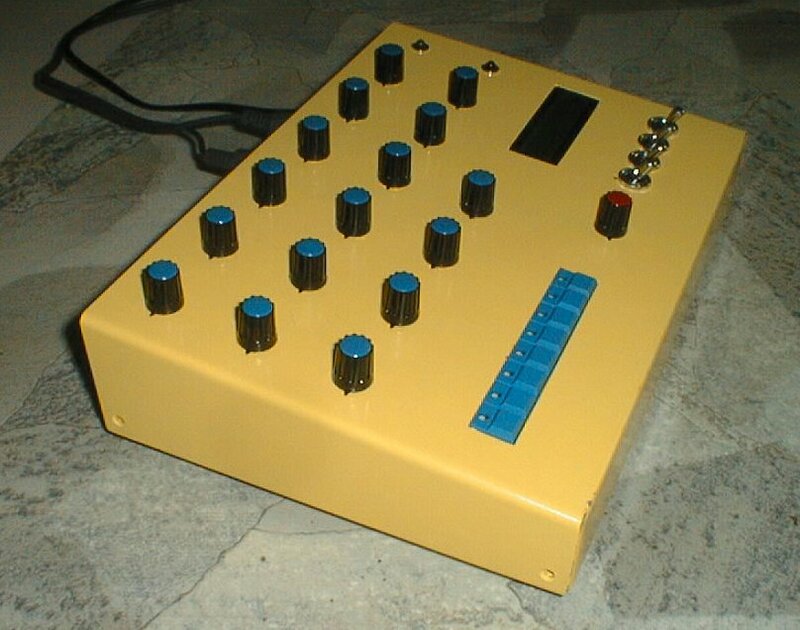 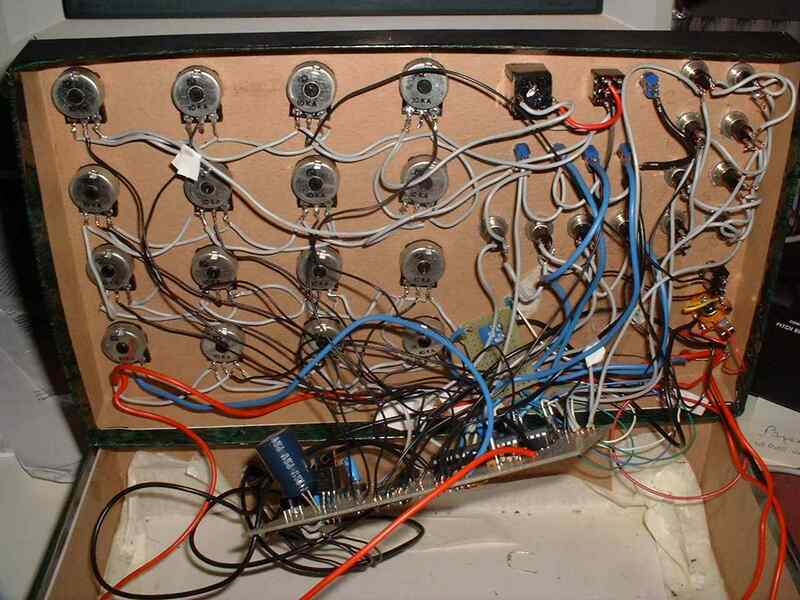 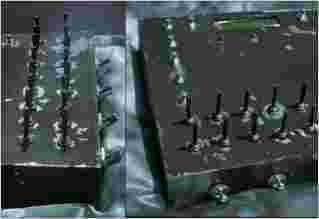 He uses the box to control virtual synthesizers like B4, ProFive and FM7. 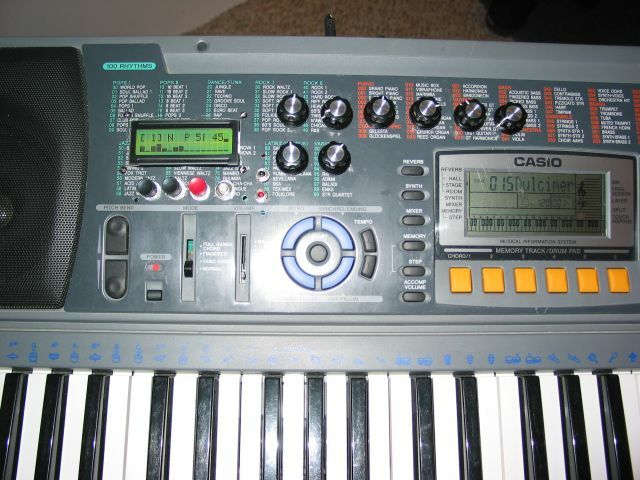 It works also fine with Sonar! 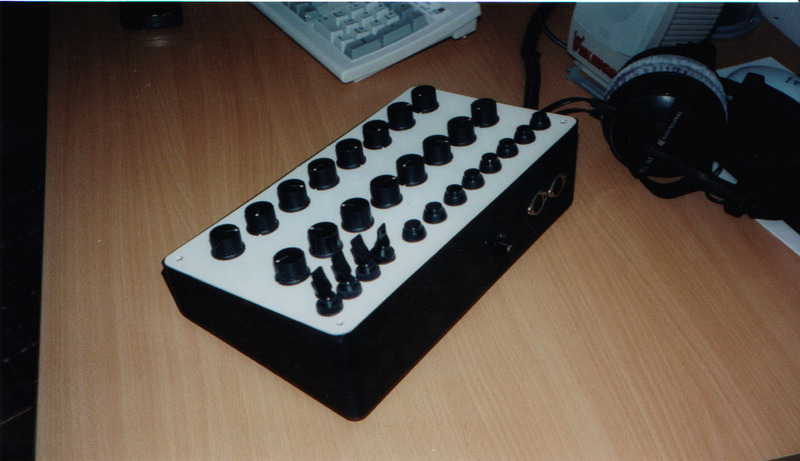 The black MIDIbox Plus of Axel (axel.sylvester _at_ gmx.de). 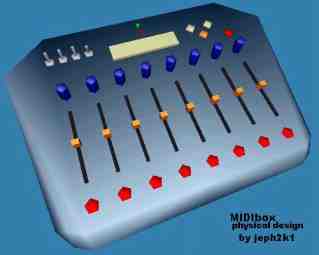 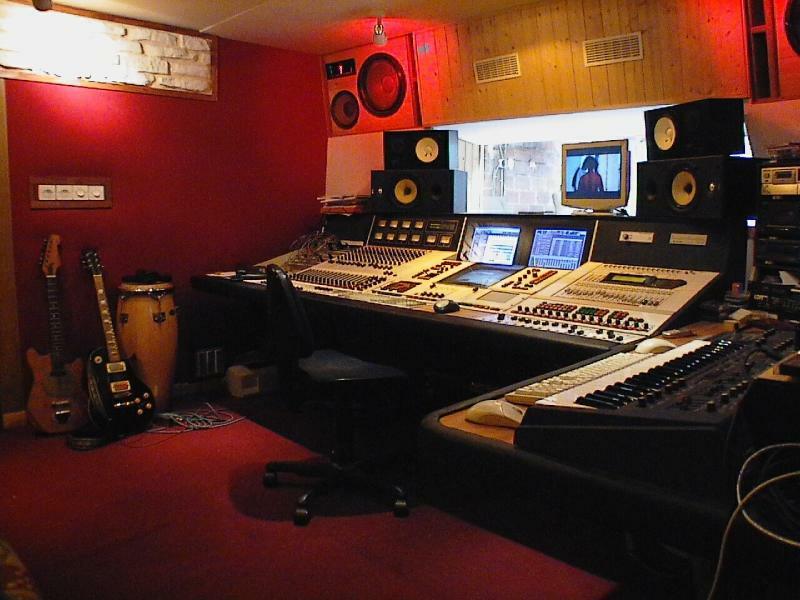 He noted that the box can also be used to control Macromedia Director. MIDIbox Plus of Roberto (r.b _at_ optushome.com.au). 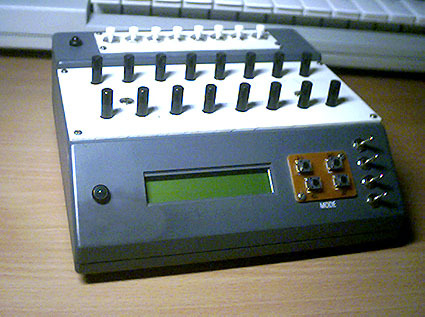 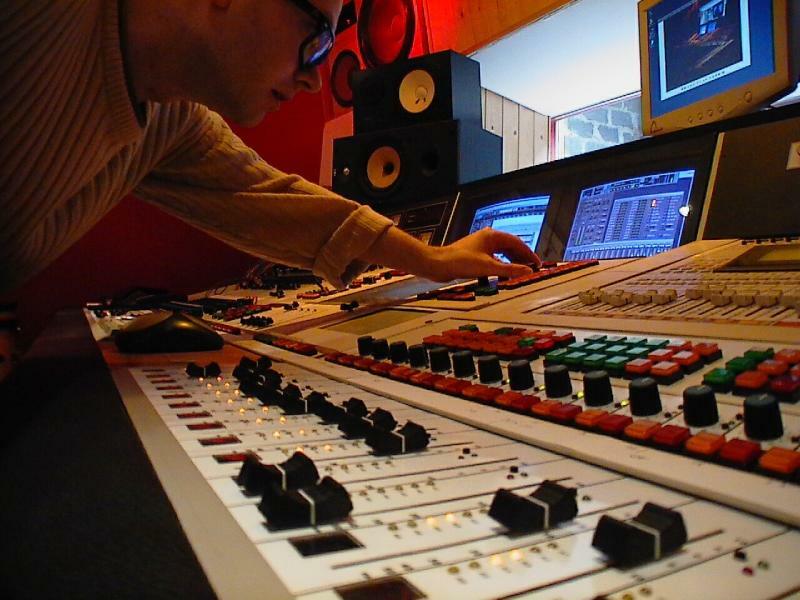 The MIDIbox Plus of George (klimes_jiri _at_ seznam.cz). The MIDIbox Plus of Xavi (xavierramon _at_ telefonica.net).